HGST HDD 2.5" 1TB HTS541010A9E680SATA3, 5400RPM, CACHE 8MB, 3YW. ..
HGST HDD 2.5" 1TB HTS721010A9E630SATA3, 7200RPM, CACHE 32MB, 3YW. 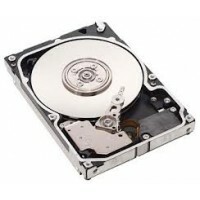 ..
HGST HDD 2.5" 500GB HTS725050A7E630SATA3, 7200RPM, CACHE 32MB, 3YW. ..
TOSHIBA HDD 3.5" 1TB TSH-DT01ACA100SATA3, 7200RPM, CACHE 32MB, 2YW. ..
TOSHIBA HDD 3.5" 500GB TSH-DT01ACA050SATA3, 7200RPM, CACHE 32MB, 2YW. ..